The Sunday Salon 8.8.10 – my books. my life. I slept for 9 1/2 hours last night after spending the day at The Wizarding World of Harry Potter. I woke up to a very quiet house. I have my tea and a few hours before yoga. Perfect Sunday Salon time. Harry Potter was pretty great. I think it deserves its own post, so look for that this week, but a quick summary is: hot, crowded, still worth the trip. I haven’t been able to read a lot this week/weekend, but I have some hopes about today. My sister-in-law, Melissa, is visiting us right now and she is among my favorite visitors. Her trips always include a lot of sitting around and reading (maybe to balance out the trip to an amusement park we always end up taking). And when she leaves, we send her home with books. I’m still thinking of which books she should take with her tomorrow. I’m on a YA kick as her pile so far includes The Hunger Games, Catching Fire, The Disreputable Histpry of Frankie Landau-Banks, and Before I Fall. She has already started and finished the third Mysterious Benedict Society. As I was writing this post, Melissa woke up, came out to the living room, grabbed a drink, and sat down with The Hunger Games. Best guest ever, right? Question: do you guys like when I incorporate my TBR books into this post or do you prefer they get their own post? I’m still deciding which I like better. I like seeing whatever you’ve read and what you’re going to read. All of it. 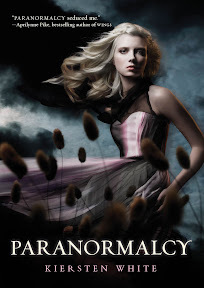 Love the covers of those books…some of them are calling to me! 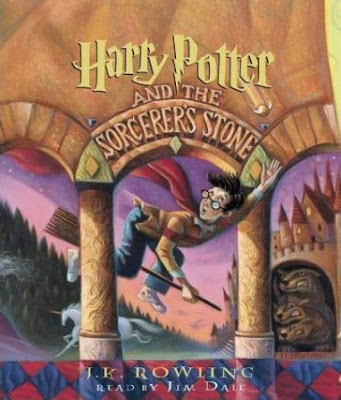 You are listening to ‘Harry Potter and the Sorcerer’s stone’ now? Wow! Interesting to know that you are reading ‘Dracula’ now. 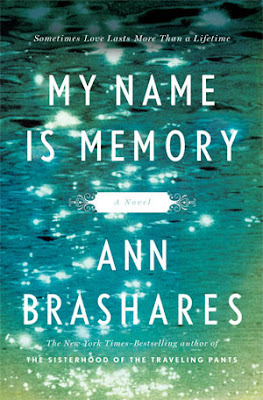 It is one of my favourite classics and I can’t wait to hear your thoughts on it. 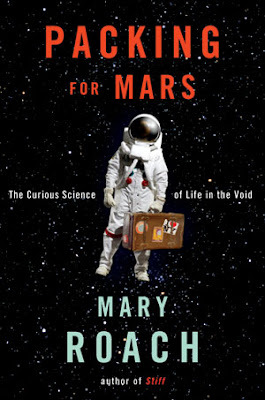 ‘Packing for Mars’ sounds like an interesting book. Looking forward to reading your post on Harry Potter world. I’m looking forward to your Harry Potter World post! 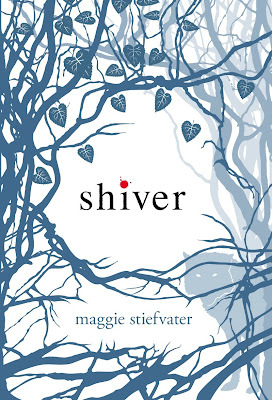 I’m interested in reading your thoughts on Shiver, it seems to have gotten very mixed reviews from what I’ve seen. 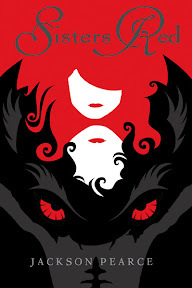 I have The Red Queen on my reserve list at the library and I’m eagerly awaiting receiving it. 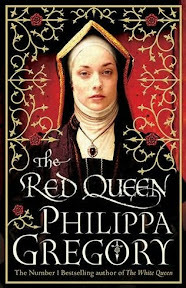 Have you read The White Queen? I really enjoyed that. I also want to read Packing for Mars and Paranormalcy. I don’t think I’ve heard of Sisters Red before, but the cover looks intruiging. I might go check that post out now. Can’t wait to read your Harry Potter post! I love houseguests that just sort of make themselves at home. I always feel the need to entertain mine and that’s work! I’d much rather visit quietly and do a bit of reading. Things are perfect just the way they are, don’t change a thing. I like hearing about what you plan on reading – I’ll keep us coming back to see what you think. Thanks for the suggestions. I wish I had a guest like yours! YAY for Sisters Red. I hope you like it! 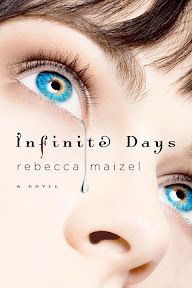 I’ve also read Infinite Days, it’s gotten some mixed reviews but I enjoyed it a good deal. Hope you do too.